Degenerative scoliosis is an adult form of scoliosis that is caused by a degeneration of the facet joints and the spinal discs. 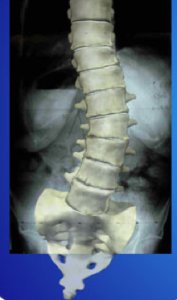 The result is the spine collapses and forms a “C” shape located in the lower region of the back. Degenerative scoliosis takes time to form, and is a gradual process occurring as the spinal discs and facet joints weaken and deteriorate over time. The symptoms of degenerative scoliosis are back pain and stiffness, along with numbness and pain in the legs and feet. Some people with the condition report no symptoms. 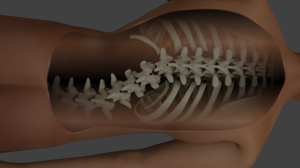 Below we discuss 5 myths about degenerative scoliosis. While degenerative scoliosis targets people over the age of 65, it is not uncommon for people in their 40’s and 50’s to begin to experience symptoms. Specifically, those who had scoliosis as adolescents can slowly worsen in adulthood. In addition, individuals who experienced significant trauma while younger may end up dealing with post traumatic arthritis and adult scoliosis. Pain Medication – prescription and non-prescription medications are used to reduce pain and inflammation. Epidural Injections – injections are used to administer anti-inflammatory and/or numbing medication to the affected area providing relief for the patient. 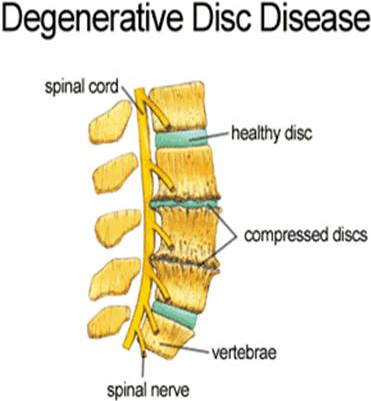 This helps if spinal stenosis is present as a result of the arthritis. This is absolutely false. As stated above, it is possible for anyone to get adult scoliosis from spinal arthritis. What is true is that people who suffered from adolescent scoliosis are at an increased risk of suffering from degenerative scoliosis because their spines are already curved. If the curve was over 40 degrees, the chances of the scoliosis worsening in adult is about one degree per year. Spinal arthritis may develop in adulthood, leading to adult scoliosis even if no problem was seen in adolescence. Osteoarthritis is a cause for the condition, but osteoporosis can also lead to the onset of DS. It is not uncommon for people to suffer from both adult scoliosis and osteoporosis. Some people may not be able to exercise when suffering from degenerative scoliosis. But in some instances physical activity is part of a quality therapy program designed to strengthen the surrounding muscles. This may include physical therapy, swimming, walking, etc. If you or a loved one is suffering from significant back and/or leg pain in adulthood, pain management doctors in Las Vegas can help you. Over 90% of those with adult scoliosis may receive pain relief that reduces the pain so much that surgery can be avoided successfully. Call today at (702) 323-0553 for more information and scheduling!